You don’t have to be stuck in a lease until the end of the contract. Demand for luxury SUVs is strong, which may make it easier to end a lease on one early. Car leasing has its advantages, including making it possible for you to get behind the wheel of a more expensive car than you might normally find affordable. Leasing is popular with luxury car drivers and is also available across all vehicle segments. Signing a lease obligates you to make payments until the end of the lease term, but getting out from underneath that obligation early is still possible. Option One — Lease a different vehicle. You may be able to end your lease by leasing a new vehicle. The unpaid payments with your original lease would then be rolled into your new lease. However, you will still be making payments for a vehicle you no longer drive. One way to avoid rolling over the costs of the first lease is to find early release return deals. Under this arrangement the leasing company takes back your current vehicle, forgives your remaining payments and signs you to a new lease. This is more likely to happen with a sought after vehicle or body type. 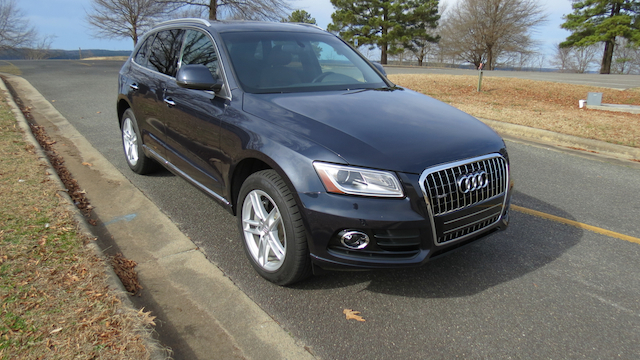 Indeed, you stand a better chance of returning an Audi Q5 SUV early than an Audi A4 sedan. Customer demand for sedans is falling, but continues to rise for SUVs. Option Two — Return the vehicle. If you have tired of your leased car, you can take it back to the dealership that arranged the lease. Choose this option and you will still be required to make the remaining lease payments. Read your lease agreement to determine if monthly payments are acceptable or if a lump-sum payment is required. Be prepared to take a financial bath with this option, but at least it may not ruin your credit. Option Three — Voluntarily surrender the vehicle. If you cannot afford your lease payments and are facing possible repossession, you can contact the leasing company and voluntarily have the vehicle repossessed. This is a worst case scenario as your credit rating will suffer. However, it also means that you will not be saddled with the repossession costs that are typically incurred when a vehicle is involuntarily taken back. Consumers who choose this option have their backs to the wall and likely are considering personal bankruptcy. You might wish to speak with a bankruptcy attorney before choosing this option. Option Four — Look for a new lessee. Your lease agreement may allow you to transfer your lease to someone else. If a lease assumption clause is included in your contract, then it allows you to find someone to assume your payments, freeing you from further obligation. Lease assumptions are popular as the assuming party can get a newer vehicle without the big down payment. Further, lease swappers are able to move from vehicle to vehicle faster. You will pay a fee to the leasing company to complete the transaction and, if you use a service such as SwapALease.com or LeaseTrader.com, you will pay a fee there too. Ending a car lease early can free you from a burden you no longer want to carry. There are costs involved and some options are clearly more attractive than others. Review your lease agreement to verify that no liability remains after the transfer has been completed. The last thing you want is an invoice for an expense on a vehicle you no longer have in your possession.